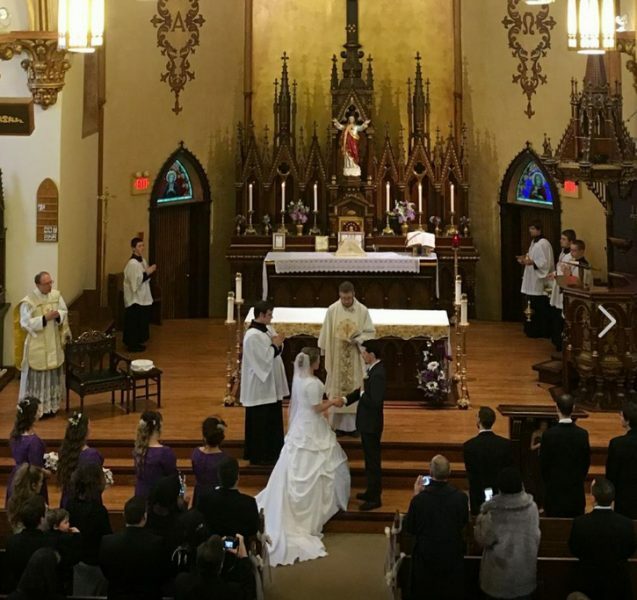 The Novus Ordo priest conducts the marriage ceremony while Fr. Richard Vachon, SSPX, looks on. P.S., I am in no way trying to denigrate the couple. I wish them a happy marriage with many children.